FROM THE CATALOGUE This work comes from a current landscape series I have been doing as my response to spending two hours sketching in the gardens of Impressionist Claude Monet in Giverny, France. I have introduced the West Papuan suffering at the hands of the Indonesian state into the setting of Monet’s famous Nymphaes series of the waterlilies in his famous garden ponds. 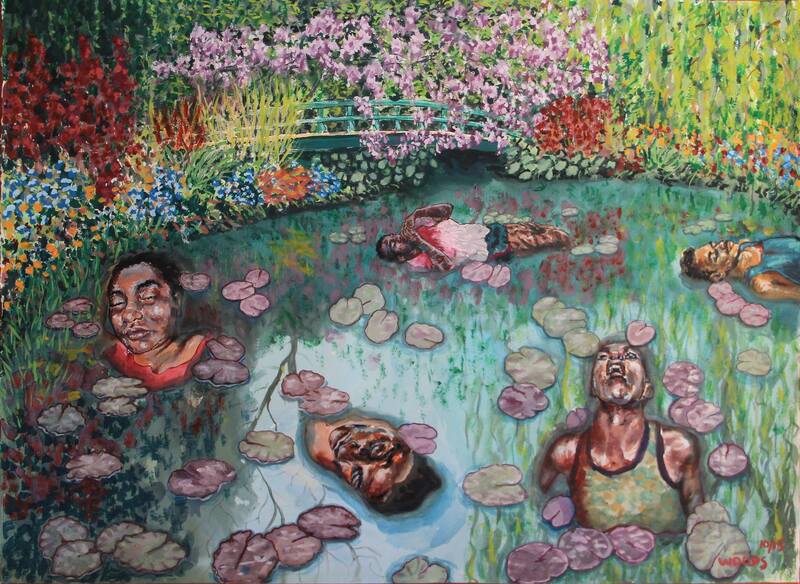 The images in the pond of young Papuan people recently killed by Indonesian security forces seeks to deliberately disrupt the enjoyment of the garden’s aesthetic. 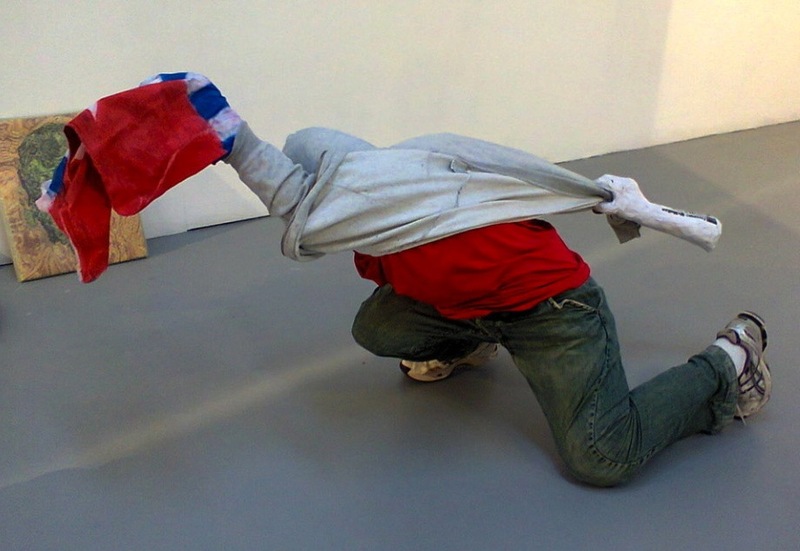 It challenges the viewer to respond to this dissonance and reflect on how we in a free and democratic society can accept violent repression right next door to us, in our face. I also reference the ancient mythology of the beautiful nymphs who were believed to live in ponds – hence the origin of the lily botanical name. In this garden view, however, it is the beauty of Papuan youth that emerges from the waters, surfacing as ornamental dead witnesses making a mute appeal for justice to lovers, and painters, of pleasure gardens. VAN T RUDD also won a People’s Choice Award with his sculpture Let rage, unity and love take form. The Award was a Gift Voucher of one frame donated by FRAMED BY YOU in Richmond. FROM THE CATALOGUE The fight against the power of capital is global. When somebody resists state forces, they speak the language of a common goal: dignity and equality. Yet corrupt state forces are strong, and their ties with the world’s wealthiest bring immense power. This sculpture displays that fulcrum of opposing powers, and aims to gather and sling the arrows of justice for West Papua. 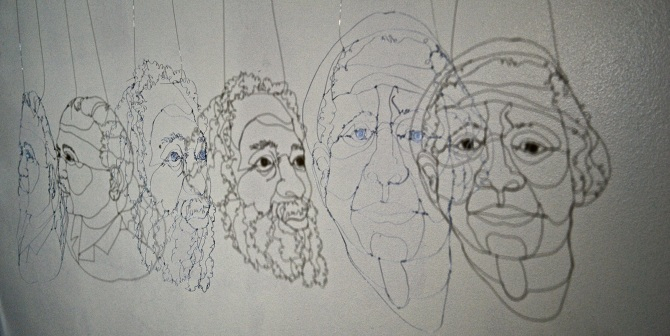 BRONWEN BENDER won a People’s Choice Award donated by GREAT FRAMES in Northcote with her wire-art portraits of four West Papuan (former) political prisoners. 1) Jacob Rumbiak as a student, lecturer, culture man, and political prisoner helped inspire the generation of Indonesian students who brought down Suharto in 1998, and the West Papuan who are slowly but inevitably winning their independence. He escaped from Indonesia in 1999 to observe the referendum in East Timor, and from there was flown to Australia where he is widely recognised as a diplomat and a leading scholar on Indonesia and West Papua. 2) Muma Yusefa Alomang and husband Markus Kwalik, whose five children died from tailing sickness, have spent their lives fighting the landlessness, poverty, and disease in communities displaced by the Freeport Mine. Their tribe, the Amungme, have ancestral tenure over Nemangkawi, the site of the mine, and between 1977 and 1994 Muma Yusefa was incarcerated eighteen times, including in a cargo container of human faeces for a month. In 1999 she won the Yap Thiam Hien Human Rights Award, in 2001 the Goldman Environmental Prize, and in 2005 she was one of 1,000 women nominated for the Nobel Peace Prize. 3) Buchtar Tabuni was born into the Lani tribe of the Central Highlands. After studying engineering in Makassar (South Sulawesi) he returned to Jayapura and found the West Papua National Committee (KNPB) for independence. 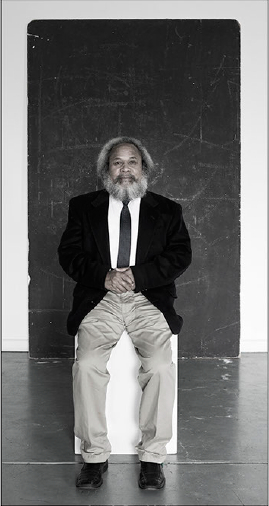 In 2008 he was incarcerated for three years, after being charged with treason for rallying support for the International Parliamentarians for West Papua (in London). In the notorious Abepura Prison he was continually tortured and beaten by the Indonesian military and refused hospital treatment. 4) Babuan Mirino was thirteen in 1962 when the United Nations gave her homeland to Indonesia. While raising her seven children she was midwife to hundreds of women who refused to go to government hospitals where the child and mother mortality rate is the highest in Indonesia. 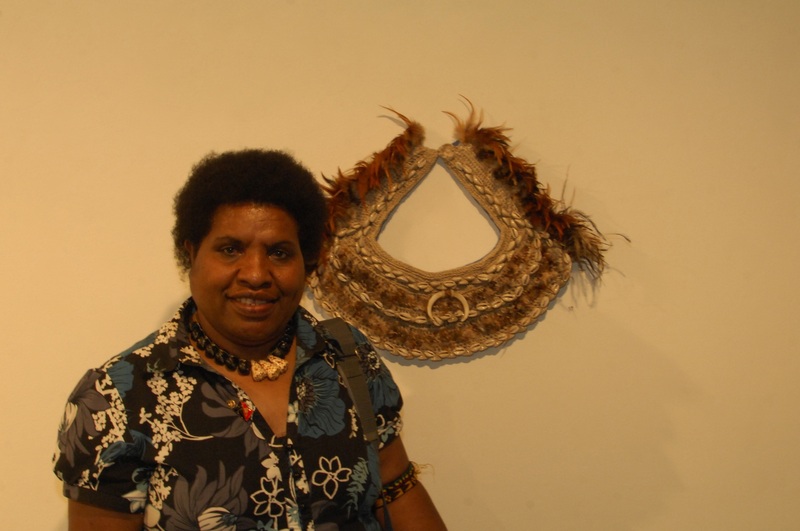 Her husband’s political activism eventually forced her to seek asylum and she is now the Convenor of the West Papua Women’s Office in Docklands. 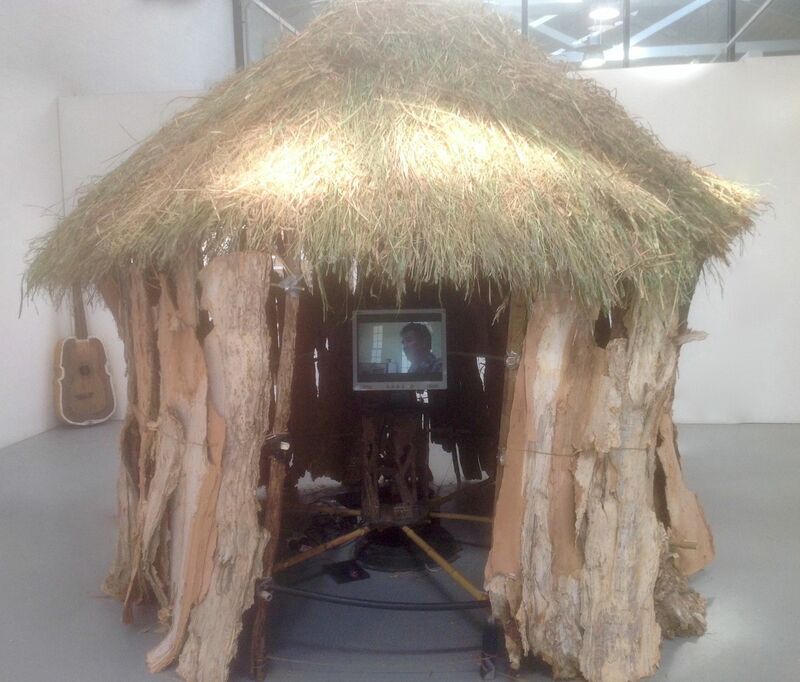 Honai by LOBER WAINGGAI and GILIUS KOGOA. 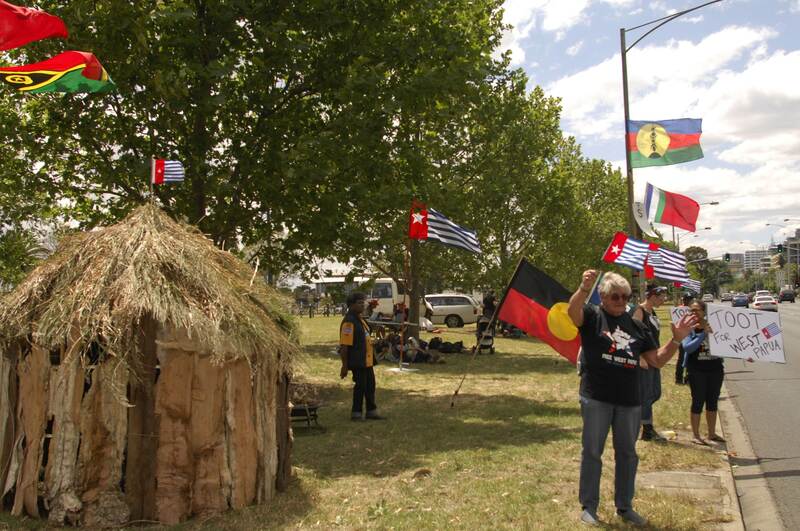 Honai is the home style in the highlands of West Papua, but this one was working outside the Indonesian Consulate in Queens Road on 1 and 2 December before moving 7 kms across town to the ACU Art Gallery in Fitzroy. TOMMY LATUPEIRISSA has been photographing the indigenous peoples of the Pacific for years, at home, at play, and at their most dramatic in cultural festival and political rallies. 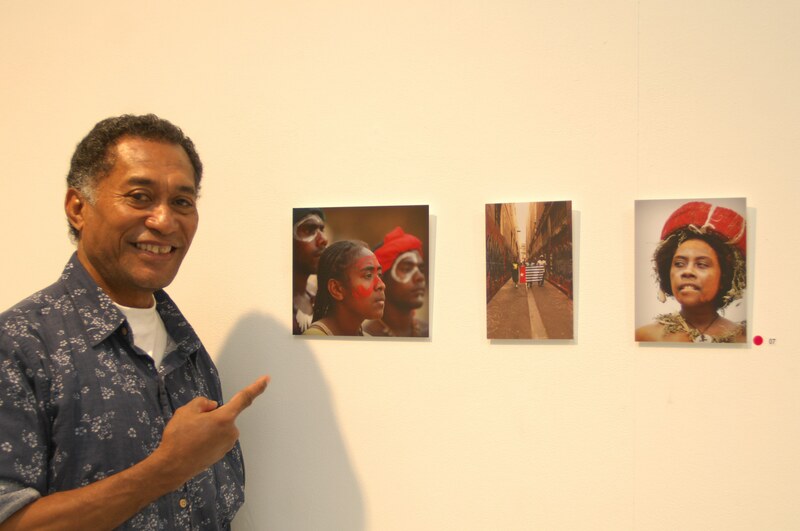 He uses his photos to fortify the self-determination and independence ambitions of the Melanesian people of West Papua and their cultural cultural and political kin in Maluku.